The Guardian reports that French Education minister Najat Vallaud-Belkacem says pupils should be taught that the separation of church and state is there to protect them, and that the principle has been twisted by rightwing politicians. Villaud-Belkacem told the Guardian that the principle of secularism has often been wrongly used to attack Islam, and that schoolchildren have been left baffled. 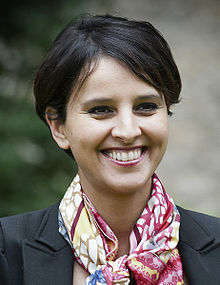 Najat Vallaud-Belkacem told the Guardian that after last year’s devastating jihadi attacks in Paris, France was overhauling the teaching of secularism and civic values as part of the country’s drive against terrorism and radicalisation. “We have to reappropriate the concept of laïcité [secularism]so we can explain to our young pupils that whatever their faith, they belong to this idea and they’re not excluded. Secularism is not something against them; it protects them,” she said. Laïcité is not exactly secularism.Yes and no… Not really. It should be the public space as neutral space where you must respect the value of the French Republic but where everybody must be respected in his faith and beliefs. If you represent the State you musn’t show religious symbols. The problem is french people uneducated don’t really read the law and the context of 1904. Now they pretend nobody must express their faith and religion in public spaces like schools, banks; hospitals…etc. They become a bit extreme ! Except towards Catholics which is funny because this law has been voted concerning Catholics in first place. But secularism already existed in France before laïcity which is something different.